The Xerox BookCentre is no longer available for sale. Scannx does provide support for all Xerox BookCentre systems currently covered under a Scannx warranty. 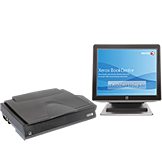 If you would like to extend your warranty, upgrade the software or purchase additional book scanning solutions, we now offer the Scannx Book ScanCenter system and software as the replacement solution. Scannx was the manufacturer of the Xerox BookCentre solutions under a trademark licensing agreement with Xerox. Please contact Scannx at sales@scannx.com for more information on how to add systems or extend your coverage on the self-service book scanning solutions.